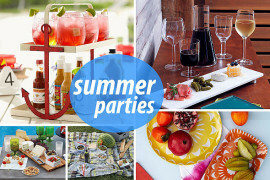 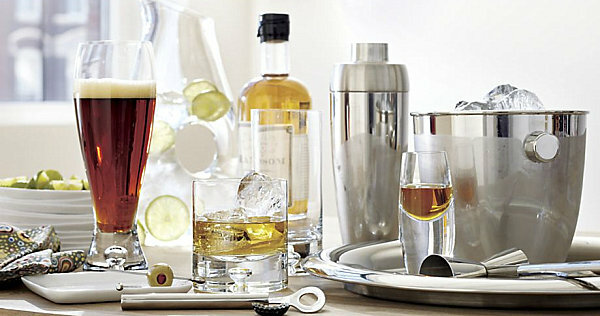 Of course, when entertaining, your bar tray may become a “bar spread,” taking over a surface-top, as shown below in this collection of beverage-themed goods from Crate & Barrel. 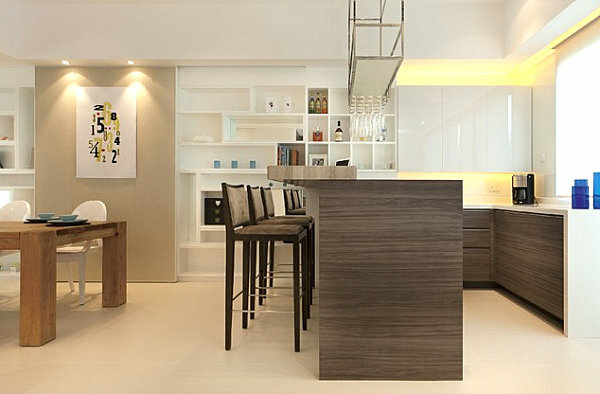 Ample space is key, so designate a space in your home as a serving area for gatherings. 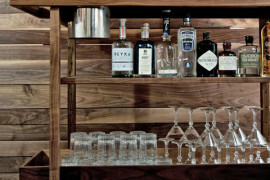 You can even encourage guests to mix their own drinks! 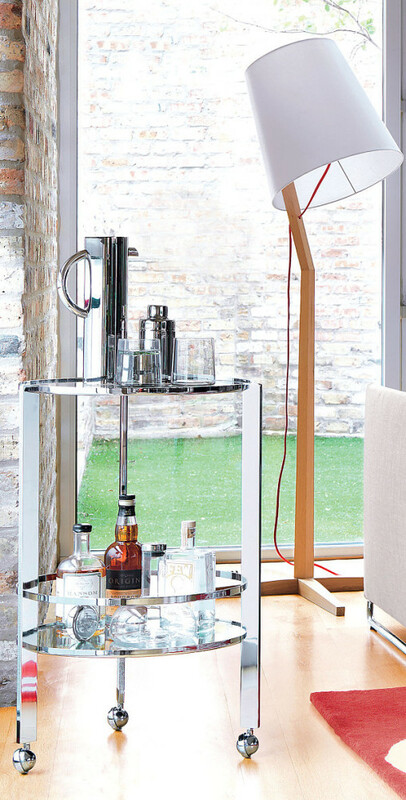 Of course, what you display on your bar cart will depend on whether or not you’re entertaining… Below we see the Libations Bar Cart from Crate & Barrel. 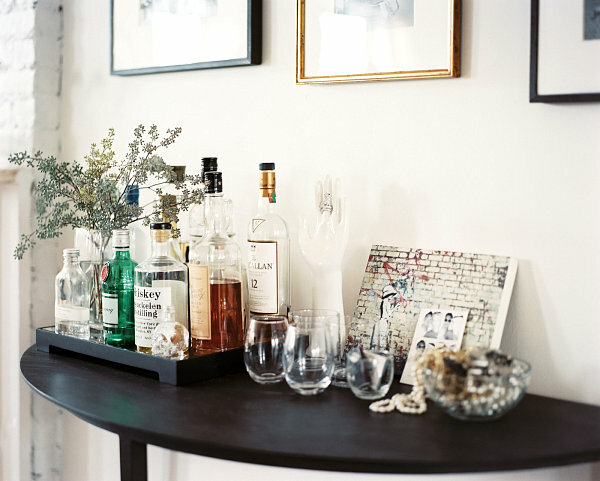 Note how the top shelf is used for serving, and it perfectly holds items such as ice, lime garnishes, a bottle opener, glasses and a decanter. 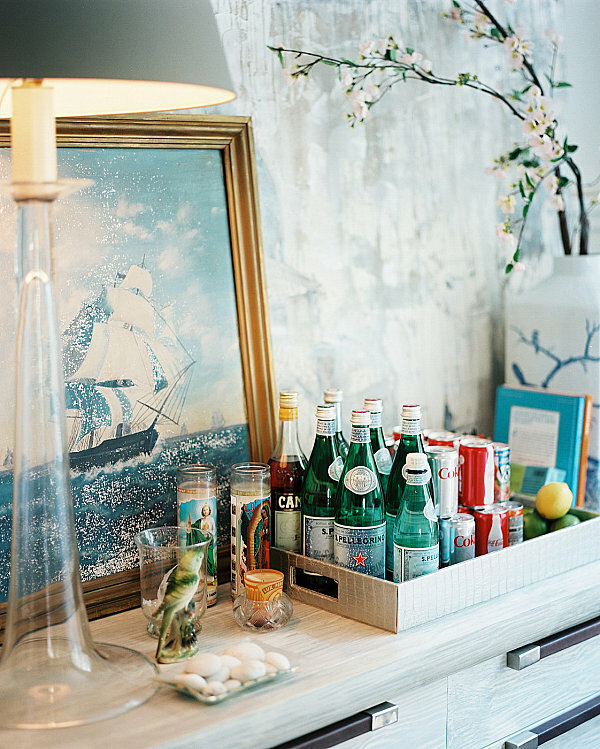 When guests leave, you may choose to place other items here, from rows of glassware to a vase of flowers. 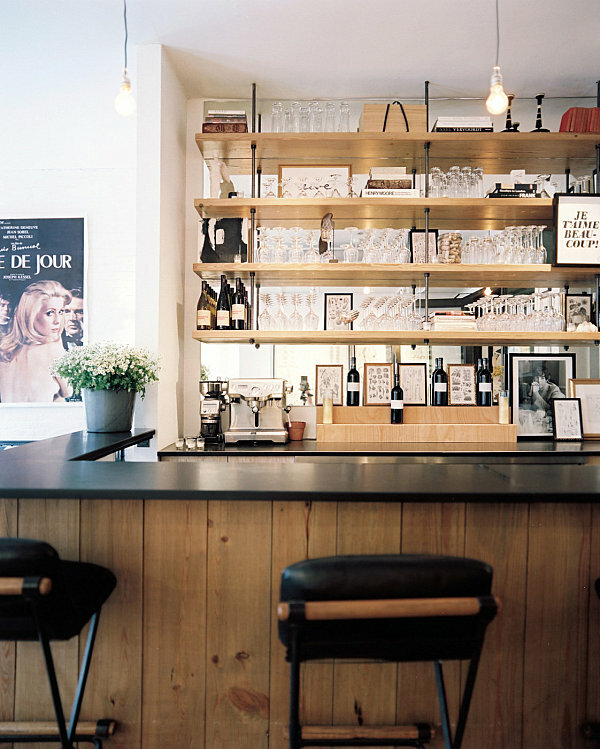 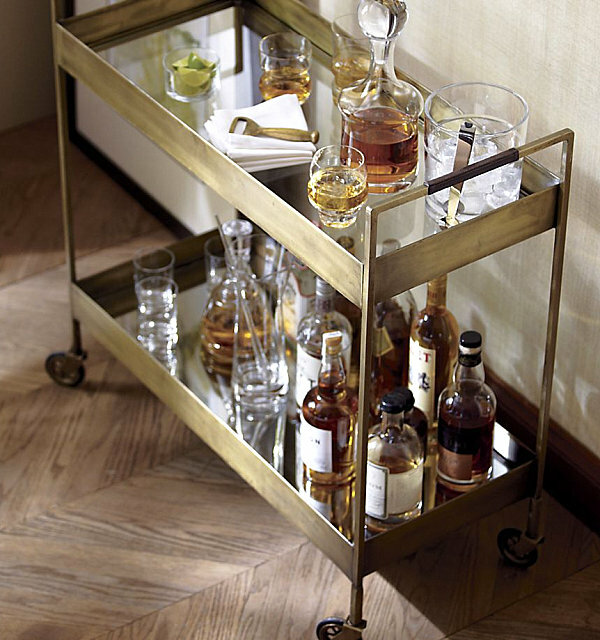 Don’t forget that your bar cart can reflect your design style! 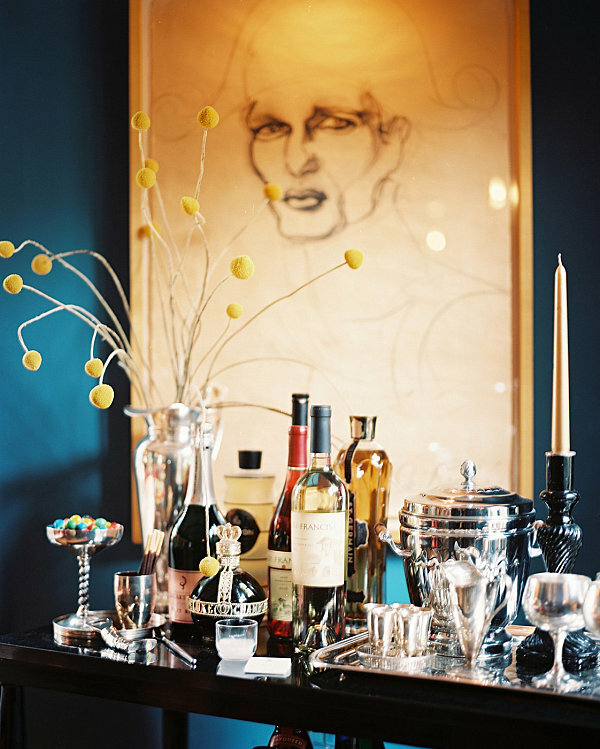 Choosing a piece that you love is important. 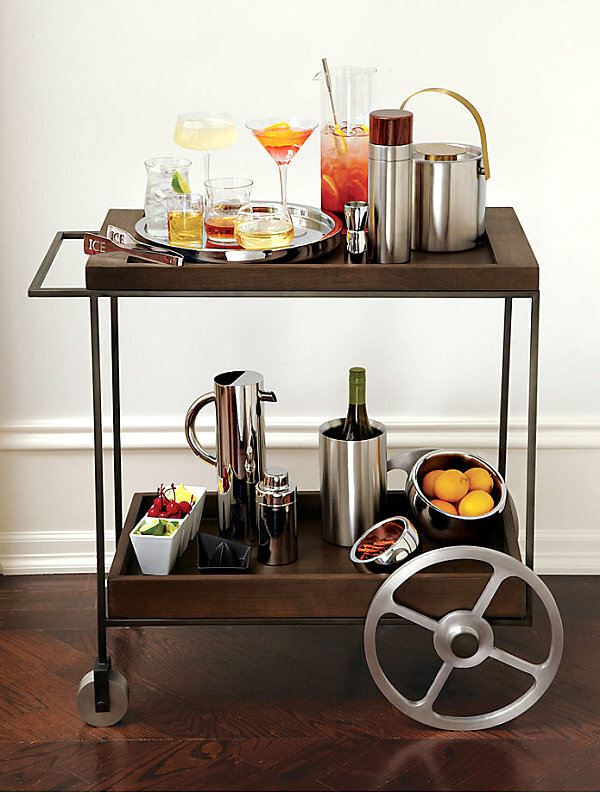 We’re long-time fans of the Ernest Chrome Bar Cart from CB2. 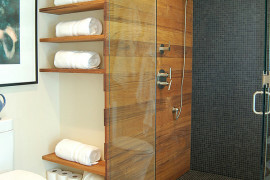 The Deco-style curves and the shiny metal evoke an earlier time. 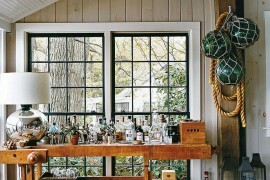 And a stylish one at that!